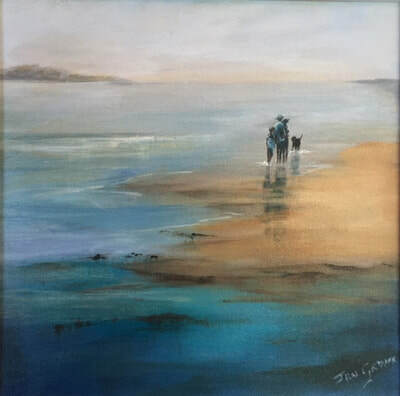 The above quote perfectly describes Jan’s approach to both her painting process and her personal life. 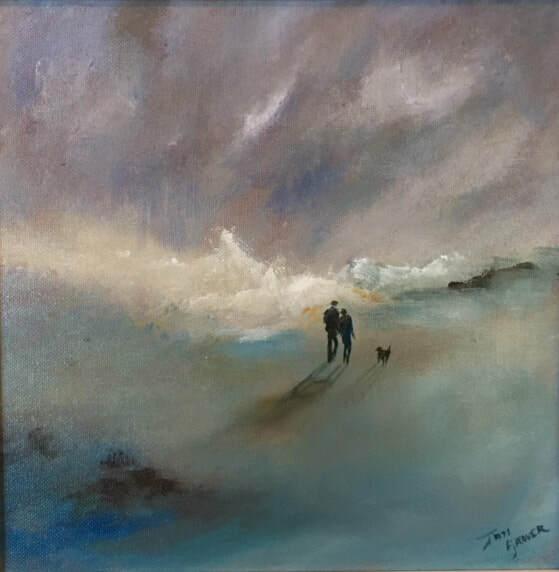 Jan has been painting for the last 15 years – alongside a an very hectic lifestyle. Jan has always harboured a desire to create art, her drive to experiment as broadly as possible with both materials, media and methods. 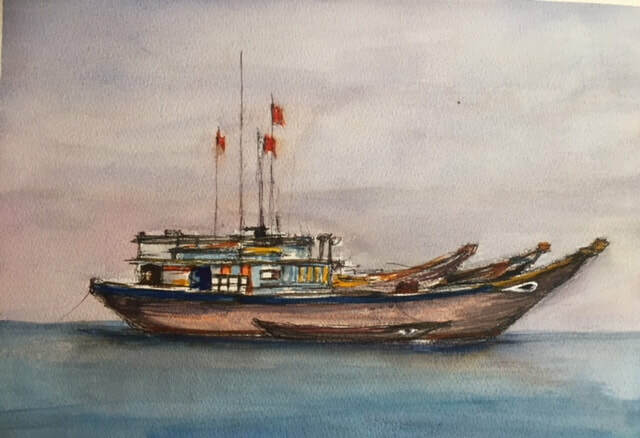 She has attended numerous night classes where possible over the years and including both pottery and painting. At home with a young family she concentrated on pottery to supplement the family income, but after returning to work it was many years later she was able to begin to pursue her love of painting. 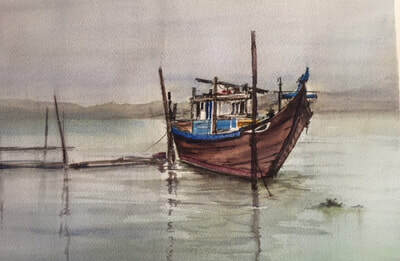 She completed a part time course in Painting and Drawing at ASA in 1991, but it was another decade before she was at last able to devote time to painting. 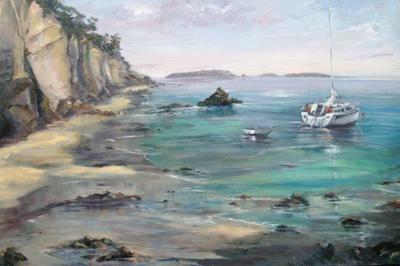 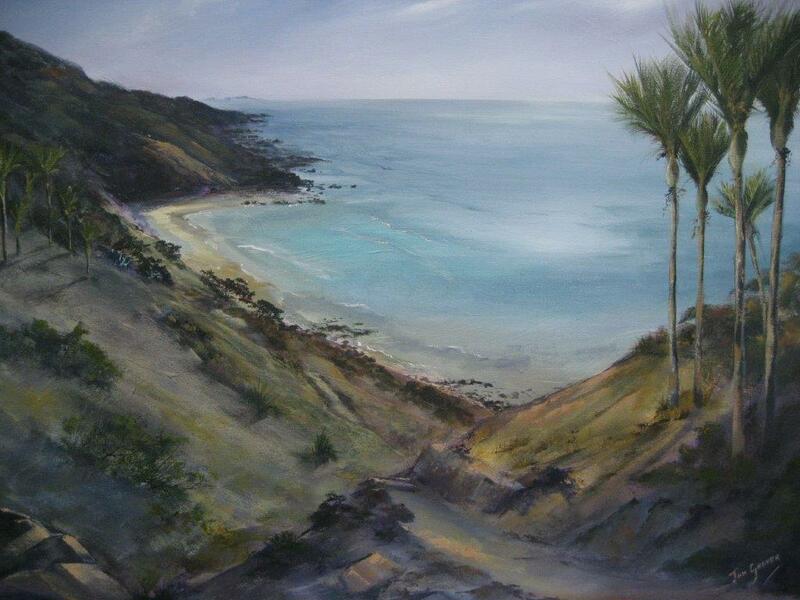 Influenced by Lance O’Gorman’s impressionistic seascapes while living in Mairangi Bay, she exhibited successfully in local art exhibitions on the North Shore before moving to Mangawhai in 2006. Here in Mangawhai she has helped develop the Mangawhai Arts movement, and is still very active within the arts community. 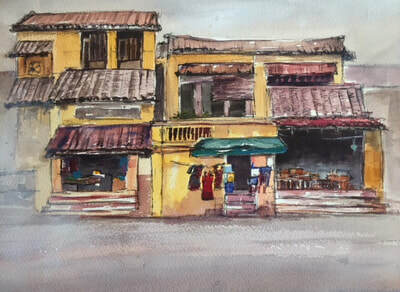 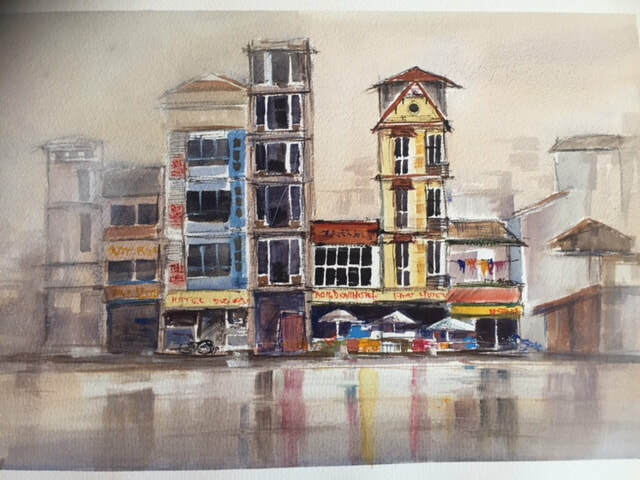 Jan’s love of painting grows and her commitment to painting is a priority, inspired by recent watercolour workshops with Australian painters John Lovett and Chan Dissanayake. 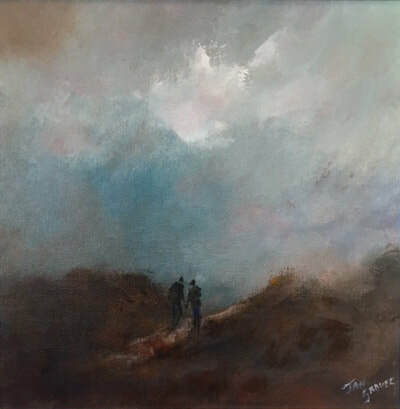 As a member of Mandy’s Paint Club she is now exploring mood and atmospheric effects, using dry brush and glazing techniques in acrylics and inks to reinforce the tranquillity and peace found in her latest works.